There are 20 blog entries for January 2011. Monday, January 31st, 2011 at 12:16pm. Here are the latest statistics for sales in the Nauru Towers Condo Building located in the Ala Moana neighborhood of Honolulu. These are sales since 10/21/10, when we last reported on sales activity. 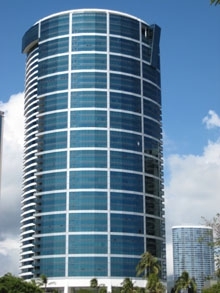 View Current Nauru Towers Condos for sale at www.HNLCondos.com. 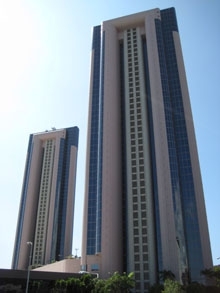 View Details about Nauru Towers Condos, including floor plans and more photos. Friday, January 28th, 2011 at 2:06pm. Don’t put away those construction cranes just yet. Downtown area developers are already vying for the chance to build the next office tower. And if one of them lands a big tenant, a groundbreaking won’t be far away. Billingsley Co., Hall Financial Group, Spire Realty Group and Harwood International all have high-rises on the drawing boards and are trying to round up office tenants. “We are responding to inquiries from potential tenants and do have some favorable discussion under way,” said developer Craig Hall, who owns the vacant block across from the Meyerson Symphony Center facing Ross Avenue and Routh Street. Friday, January 28th, 2011 at 10:57am. If you're a new visitor to Waikiki on Honolulu, Hawaii, the dense maze of streets, especially if you are driving, can be confusing, especially because so many of them are one way. I happened to recently run across a map online that not only shows street directions, but also parking, hotel and restaurant locations. This is so handy!!! View the Waikiki Map link here. Thursday, January 27th, 2011 at 12:49pm. According to the "Honolulu Star-Advertiser", Oahu home and condo prices are beginning to rise again after two years of decreasing prices. "The Honolulu Board of Realtors reported Monday that the median sale price of previously owned single-family homes increased to about $593,000 in 2010, a 3.1 percent increase over the prior year." Read the complete article, "Home Prices Rise on Oahu for First Year Since 2007." Wednesday, January 26th, 2011 at 10:26pm. San Jose Made are putting on the first, of what we hope to be many downtown vendor fair this Saturday from 1 to 7 pm inside the former Spiedo restaurant. Many new owners will know this area as across from Starbucks on San Pedro Square. Mayberry Workshop has been using that space recently as its "pop-up" shop, selling graphic T-shirts. They're sharing the space Friday with more than a dozen other retailers that sell T-shirts, accessories, jewelry and other apparel. Some of them have a physical location (like The Usuals on The Alameda), but most sell online only, so this is a good opportunity to get the word out. Tuesday, January 25th, 2011 at 11:01am. A prominent hedge-fund manager said in a speech last fall: "If you don't own a home, buy one. If you own a home, buy another one, and if you own two homes, buy a third and lend your relatives the money to buy a home." He believes that interest rates and home prices will rise this year, so real estate bargains won't last much longer. Monday, January 24th, 2011 at 2:41pm. Sales of U.S. previously owned homes jumped more than forecast in December as buyers tried to lock in low mortgage rates before the economic recovery pushed borrowing up further. Purchases of existing houses, which are tabulated when a contract closes, increased 12% from November to a 5.28 million annual rate, figures from the National Association of Realtors showed Thursday. That's the most since May and exceeds the highest estimate of economists surveyed by Bloomberg News. The median price fell 1% from a year earlier, and the share of sales represented by foreclosures climbed. Friday, January 21st, 2011 at 11:54am. According to "Honolulu Magazine" online, five new restaurants are opening in the newly renovated Roayl Hawaiian Center in central Waikiki. I think this is the retail and restaurant flagship for Waikiki, with tens of millions of dollars spent on renovations, it is gorgeous, open, well designed and people friendly. 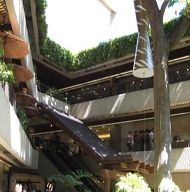 I walk there often and frequent the Food Court in search of great food and bargain prices. Anchored on one end by the new Lewers Street and Beachwalk renovated area, this whole area is a fun place to wander about, eat and shop, as well as people watch. Read the complete article at "Honolulu Magazine". Thursday, January 20th, 2011 at 12:05pm. According to "Honolulu Magazine" there were 25 condos that sold in Metro Honolulu for over $2,000,000. The most expensive condo sold was in the Kakaako neighborhood for $4,750.000. 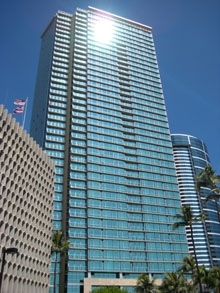 To view all 25 top priced condos sold in 2010, please view the online site for "Honolulu Magazine" and read "The 25 Most Expensive Oahu Condo Sales of 2010". Tuesday, January 18th, 2011 at 1:09pm. Here are the latest statistics for sales in the Koolani Condo Building located in the Ala Moana-Kakaako neighborhood of Honolulu. These are sales since 10/19/10, when we last reported on sales activity.